Track rod ends and suspension arms, above all on heavy vehicles, are a lot of work. They are subjected to high stresses during their lifetime of movement. 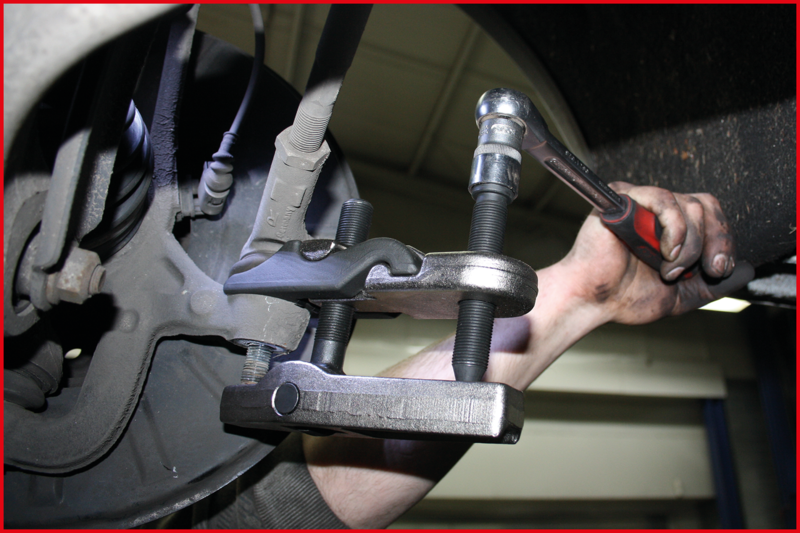 The ball joints are often seated extremely tightly which makes their removal considerably more difficult. Moreover, the ball joint separators normally available in passenger car workshops are simply too small for many of the ball joint studs found on current models. KS Tools now offer a six-part universal ball joint separator set which is particularly versatile in its application. 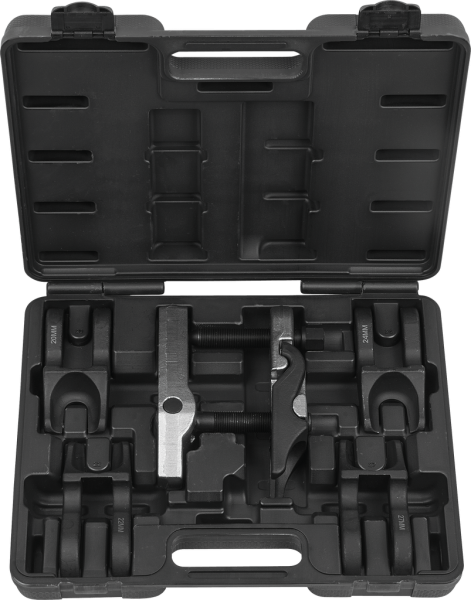 With five fork inserts, dimensions 20, 22, 24, 27 and 30 millimetres, it is especially good for repairs of SUVs, off road vehicles, vans and utility vehicles. The KS Tools product number is 450.0970. The separator is seen as a must on purely economic grounds not only for utility vehicle workshops because its use is highly versatile and saves purchasing many individual separators. Its forged fork inserts make it particularly robust. It can be used profitably both in passenger car and utility vehicle workshops on steering and suspension jobs. For the big ball joints no longer occur – not only with utility vehicles but increasingly also with passenger cars. Here, the conventional ball joint separators with fork dimensions of 18 to 24 millimetres rapidly reach their limits. More and more SUVs, off road vehicles and vans are on the roads which means this tool quickly pays for itself. That‘s because with the growing registered numbers of these vehicles, the average ball joint diameter increases also. The different fork inserts can be changed swiftly by hand without the use of tools. When larger track rod ends and suspension arm joints have rusted up, or deep tapers make their removal difficult, the tool from KS Tools is a boon. Because the length ratio between the front and rear parts enable the transmission of power, one can work here with the necessary force and even press out stubbornly tight components. The separator adapts itself flexibly to the given situation. By using the central adjusting screw, the mechanic can set the opening width to the optimum. He can thus always align both separator cheeks exactly parallel to each other. In contrast to the screw-down bolt systems, damage to the joint stud threads is virtually precluded. This is particularly important where the ball joint has to be refitted. The maximum opening width of the separator is 125 millimetres. It enables optimum matching to the ball joint stud diameter and the ball joint height. The set is supplied with five fork inserts with the dimensions 20, 22, 24, 27 and 30 millimetres.